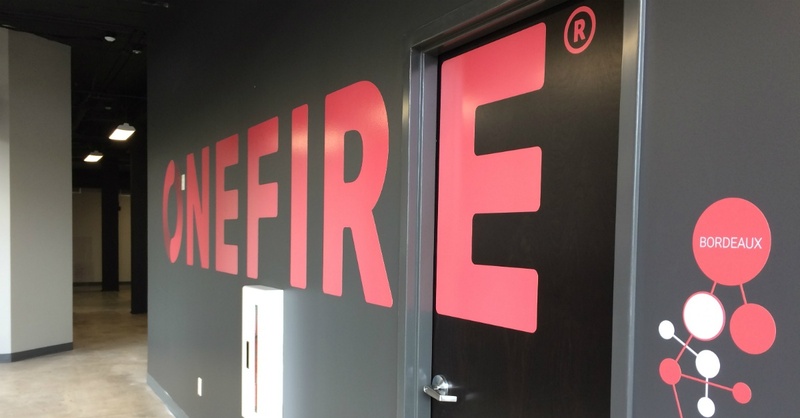 ONEFIRE has a new home! 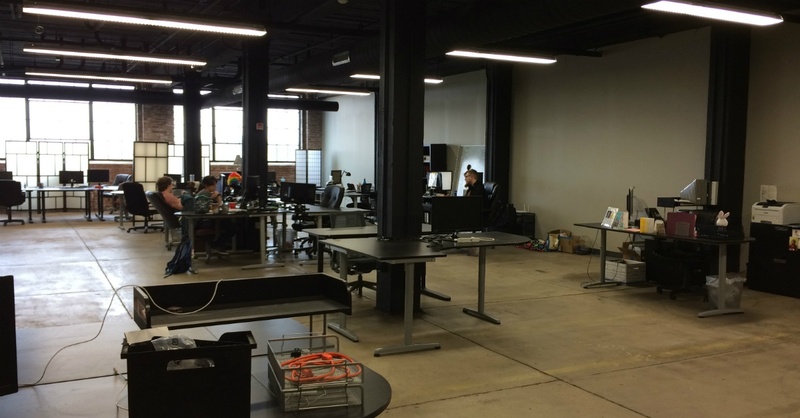 After spending its first few years in the Peoria Next Innovation Center near Bradley University, ONEFIRE now calls the new Cooperage 214 building 'home.' The mixed-use residential and commercial space can be found on Pecan St. in the Warehouse District in Downtown Peoria. 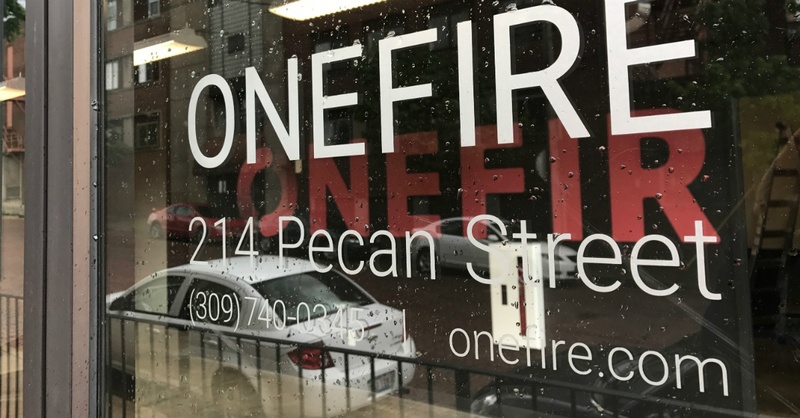 ONEFIRE is the anchor tenant on the ground floor of the building, with a custom-built space tailored to the needs of its team and its clients. With a prime location downtown, ONEFIRE is more accessible than ever and excited to conduct business from one of Peoria's fastest-growing neighborhoods! Cooperage 214 used to be an actual cooperage (a business that manufactures and houses barrels and casks for whiskey and wine). You'll notice a steady theme when you walk into Cooperage 214: barrels. In fact, the building's former life as a cooperage is incorporated heavily into its present-day aesthetic. From art installations in the lobby to repurposed original pieces all over the building, history lives on. After it ceased being a cooperage, Cooperage 214 was a warehouse filled with doors and windows. That's more than enough space to make some magic happen! 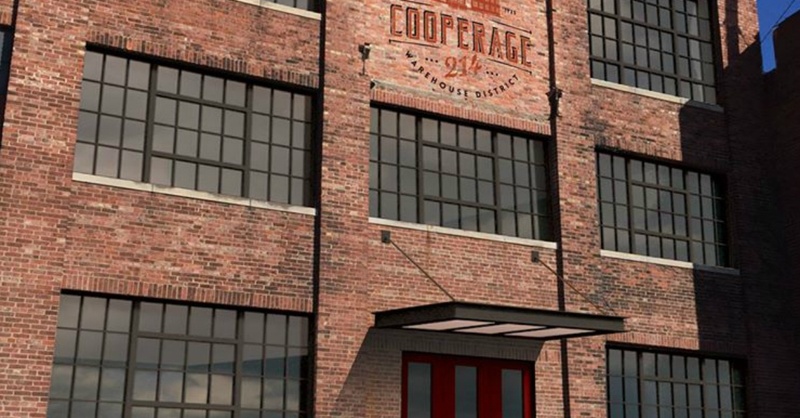 Cooperage 214 is located in the rapidly-growing Warehouse District. High-end residential projects, restaurants, shopping, and entertainment options are pouring into the Warehouse District in downtown Peoria. Cooperage 214 is in the thick of the action. Speaking of location, Cooperage 214 is easy to find and centrally located, making ONEFIRE as accessible to clients as possible. ONEFIRE has some pretty cool neighbors! The Peoria Chiefs play at nearby Dozer Park and Zion Coffee has quickly become a staff favorite for an afternoon pick-me-up spot and offsite meeting location. Sure, that doesn't sound like a big deal at first. But, if you've ever tried to find a prime spot in downtown Chicago or New York, ample street parking is a WIN! ONEFIRE's other neighbors live upstairs in upscale lofts! The units have natural light to spare and offer spacious luxury living in a perfect location. Duh! Of course, you knew this already, but ONEFIRE is now the anchor tenant at Cooperage 214. 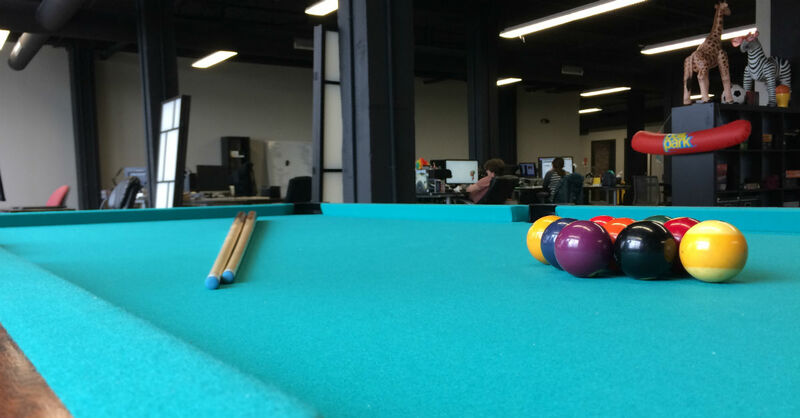 It's the ideal headquarters for a Digital Product Studio like ONEFIRE. There's even a pool table! Check out the photos from May's Grand Opening event.